I’ve got a great book by Simon Sinek called Start With Why. I really love Simon’s work and I think as a blogger the WHY is a good place to start. He has a great exercise called The Golden Circle. It’s a great one to apply to life in general, but we can narrow its focus and apply it to blogging too. So think about the why. Make your own Golden Circle based on your blogging why. 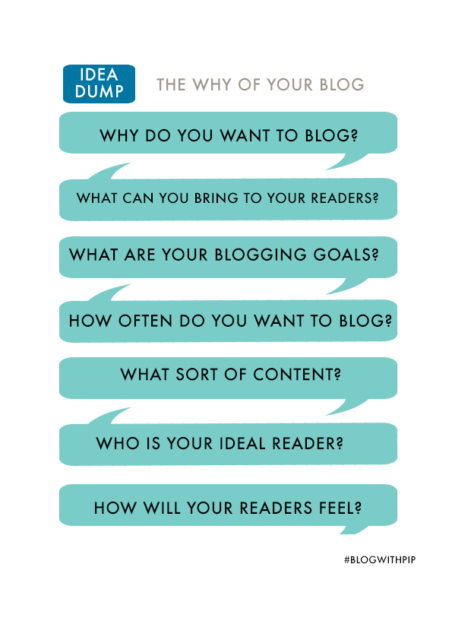 Start with why: Why… what is the CORE reason you want to blog? What’s the PURPOSE? How: How will you achieve that purpose? What: What will you do, specifically? You could try this for your own blog? It can be quite hard to create this Golden Circle. If you are stuck, answer the questions in my worksheet and then try again! Sometimes, the WHY is ‘I think everyone should be healthy’ or ‘I think everyone should feel supported’ or ‘I want to help people see how cute they are’ or ‘I want people to live more simply or more stylishly or more deliciously’. That’s awesome too. Sometimes blogging is not about The Golden Circle. 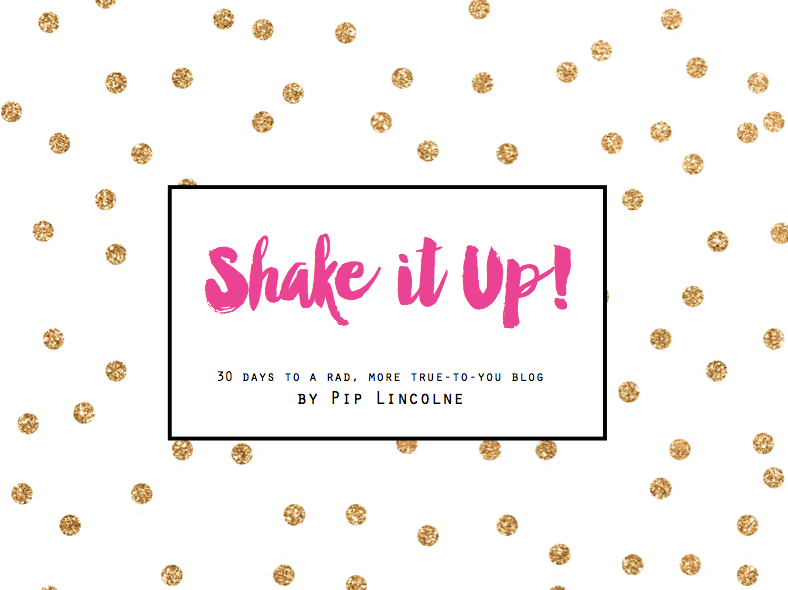 Often it’s about self expression or daily rituals or showing people your good work or being part of a bloggy gang. Those are really good reasons to blog as well. In David Gauntlett’s book ‘Making Is Connecting‘ he talks about creativity and the internet… and its power to bring us all together in all kinds of ways. I think that blogging is a kind of making and its power to connect is awe-inspiring at times. And I’m not exaggerating. I’ve made some of my best in real life friends via blogging. It’s also brought me the best opportunities. Maybe that sounds good to you too? Let’s diagnose your bloggy why so we have something to aim for, okay? Let’s bring some extra real-life friends and opportunities your way, okay?! Try the Ideas Dump worksheet for Why. It goes something like this.
. WHY DO YOU WANT TO BLOG?
. WHAT CAN YOU BRING TO YOUR READERS?
. WHAT ARE YOUR BLOGGING GOALS?
. HOW OFTEN TO YOU WAN TO BLOG?
. WHAT SORT OF CONTENT WILL YOU PRODUCE?
. WHO IS YOUR IDEAL READER?
. HOW WILL YOUR READERS FEEL? And how will your blog make YOU feel? This stuff makes up your blog’s bare bones. It’s your blog’s manifesto. It’s where you begin. If you start with a clear idea of why, you can always come back to it when you feel a little bit lost. And that can be quite often in this connected-yet-isolated online world. Tell us a bit about what you want to achieve with your blog and why you are here.